GLA helped one of the top department store-oriented childrenswear companies to secure the license rights to the $1 billion + Timberland brand for children’s apparel and accessories. This company was looking for a department store brand that would not cannibalize its existing business. 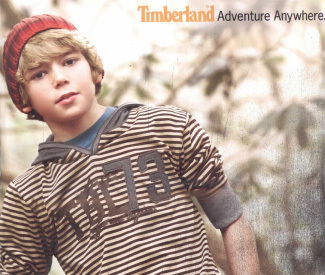 In short time, GLA discovered that Timberland was willing (and legally able) to replace its then current licensee with GLA’s client and helped effectuate the transfer of this licensed children’s business – an existing lower to mid eight-figure business – to its client without any extraordinary upfront fee. 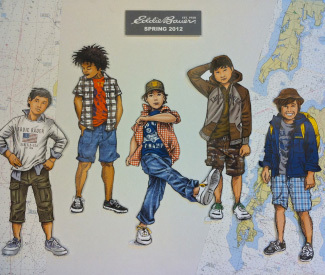 GLA helped a leading mid-tier childrenswear company to secure the license rights to the $1 billion + Eddie Bauer brand for a wide range of children’s apparel and some children’s accessories. Although Eddie Bauer was hesitant at first to license their brand into a category so close to their core adult apparel, GLA was able to effectuate a deal that not only satisfied Eddie Bauer’s concerns but also far exceeded expectations in its first year of business. When one of the largest mass market infant/newborn/layette childrenswear companies wanted a brand that could help them to: 1) expand their “mid-tier” presence, 2) address older children, and 3) expand into activewear, GLA helped them to secure the license rights to Jockey, a brand that satisfied all 3 criteria. 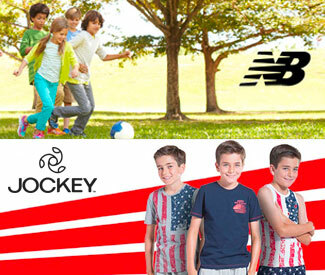 A few years later, GLA helped this same client to secure the rights to the powerful, multi-billion dollar New Balance brand for all children’s apparel, ranging from newborn to big kids sizes. This was an existing low 8-figure business that GLA was able to transition to its client because of its strong relationships and well-honed negotiating skills. 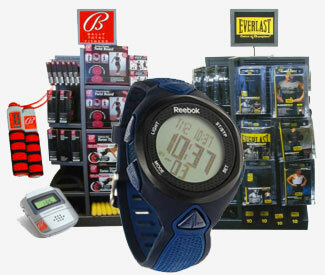 This client was able to hit the ground running, expanding into new sporting goods retailers in the process. GLA helped a leading children’s company to secure the license rights to the multi-billion dollar Skechers brand. This company was looking to quickly replace a license for another billion dollar brand that had just expired and was concerned about losing precious floor space at its top accounts. GLA immediately discovered that the Skechers childrenswear license, already a low to mid 8-figure business, was available and helped this client to secure the license with no time to spare. Around the same time, GLA also helped this client to secure the license rights to the Southpole brand (then a $500 million brand) for childrenswear. At the time, Southpole was the most coveted streetwear brand in the mid-tier, with several other major childrenswear companies competing for the license. GLA helped a top sportswear company to secure the rights to the $1 billion + Lee Jeans brand for a wide range of children’s apparel categories, from Newborn up through Big Kids sizes. VF has been so impressed with GLA’s client that they have granted additional apparel categories, including adult sizes, and have positioned this client for additional opportunities within the VF organization as a “part of the family”. This client has achieved consistent growth over the years and is now generating a solid 8-figure sales volume on this business. GLA helped a major activewear company to secure the license rights to the multi-billion dollar Skechers brand for a wide array of Men’s, Women’s, and Kids’ apparel products, including active, performance and casual lifestyle. This deal brought in sales in the 8-figure range in its first full year of shipping. GLA helped a top women’s apparel company to secure the rights to the Izod brand for women’s activewear and sportswear. Well known as a preppy heritage brand in men’s, GLA’s client is finding success translating the brand’s DNA into women’s apparel for the mid-tier. 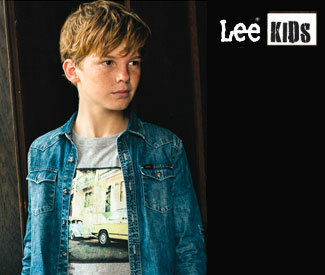 GLA helped a top sportswear company to secure the rights to the $1 billion + Lee Jeans brand for a wide range of children’s apparel categories, from Newborn up through Big Kids sizes. VF has been so impressed with GLA’s client that they granted a major adult apparel category that was previously in-house, and they have positioned this client for additional opportunities within the VF organization as a “part of the family”. This client has achieved consistent growth over the years and is now generating a solid 8-figure sales volume on this business. GLA helped the underwear/sock division of one of the largest men’s apparel companies in the U.S. to secure the rights to the multi-billion dollar Reebok brand for underwear. Nearly a decade later, this deal has, and continues to, far exceed everyone’s expectations, generating several hundred million dollars in sales since inception and encompassing not only underwear but socks and activewear as well. It’s a best-case scenario in that GLA’s client has become a trusted, long-term partner to Reebok with continued growth prospects. GLA helped a major intimate apparel company to secure the license rights to the multi-billion dollar Hanes brand for women’s sleepwear, loungwear, slippers and slipper socks. This deal helped satisfy the need of GLA’s client for a top mass market brand to complement their department store and mid-tier offerings. A nod to the success of the deal, sales nearly doubled from year one to year two. GLA helped a men’s underwear company to secure the license rights to the $1 billion + Wrangler brand for men’s undergarments. It took 5 years, but GLA’s persistence, along with its clients’ capabilities, helped convince VF Corp to license this category (which was previously handled in-house) to this client. GLA has greatly strengthened the domestic brand portfolio of a worldwide eyewear company which, up until recently, was known mostly for its upscale European fashion brands. The first deal GLA brought in was for the eyewear license rights to the Nicole Miller brand, which was an existing 7-figure business at the time. The next deal was for the eyewear license rights to the Sperry Top-Sider brand, which was super popular at the time. Then came the Ann Taylor brand for both third party license rights and exclusive direct-channel selling rights (for the Ann Taylor stores and e-commerce). To get the Ann Taylor license, GLA and its client had to beat out some of the largest worldwide eyewear companies out there and endure a grueling vetting process, but the result was the creation of a new business model for exclusively servicing major retail chains and their e-commerce divisions. 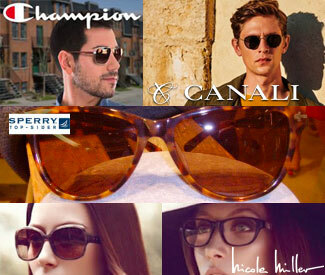 After that came Canali, an Italian luxury menswear brand that helped this client to raise its image and profile through the production and sale of “made in Italy” eyewear; Glamour Magazine, a brand that brought this client into the world of magazine licensing; and Champion, a license which has been nothing short of phenomenal for this client. 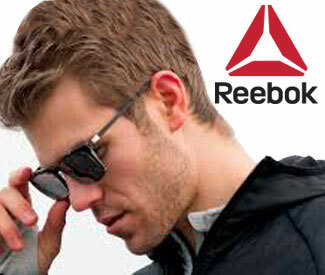 GLA helped a major global eyewear company to secure the worldwide license rights to the multi-billion dollar Reebok brand for eyewear (both ophthalmic and sun) to fulfill its need for a well-known athletic brand. Some of these worldwide rights were held by another company at the time. 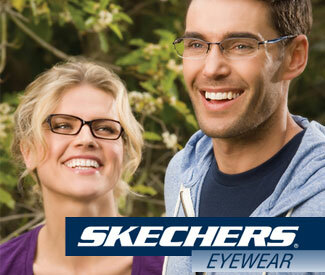 GLA helped one of the top 5 eyewear companies in the world to secure the worldwide license rights to the multi-billion dollar Skechers brand for eyewear (both ophthalmic and sun). The Skechers brand more than satisfied this client’s request for a brand that not only had size, cachet and worldwide recognition, but also one that crossed over different categories (from fashion to active to entertainment) and genders (from men to women to children). This deal brought in sales in the 8-figure range – with distribution in several continents – in its first full year of shipping. 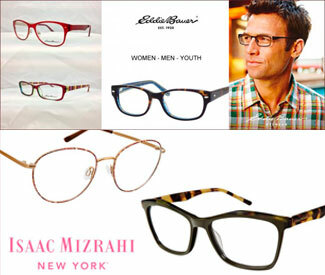 GLA helped one of the top 7 or 8 eyewear companies in the world to secure the rights to the Eddie Bauer and Isaac Mizrahi brands for eyewear. These brands more than satisfied this client’s criteria for omnichannel brands with: 1) high brand recognition in the U.S., 2) a well-defined point of view, 3) the ability to sell to both genders, and 4) a wide-ranging distribution plan including the brands’ own stores and websites, among other channels. GLA helped the largest privately-held footwear importer in North America to acquire many powerful licenses that have generated long-term, profitable revenue streams and garnered much attention in the industry. Chief among them is a direct retail license that GLA helped facilitate for the Champion brand at Payless ShoeSource, a deal which resulted in this client becoming Payless’s footwear supplier for the Champion brand. 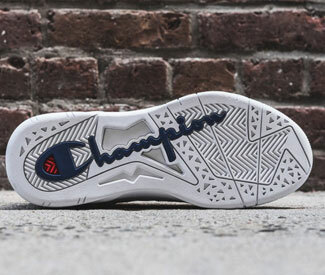 This deal required the insight to know that Champion was the best choice for Payless and the deftness to help effectuate a difficult 3-party deal involving a licensee, a licensor and a retailer. Also, when this client wanted lifestyle brands to expand beyond its then-current roster of character licenses, GLA helped it to secure the license rights to the $1 billion + Wrangler brand, followed by the OshKosh B’Gosh brand. Then, to fulfill their request for an athletic brand for athleisure and children’s footwear, GLA helped them to secure the license rights to a package of 3 brands – And 1, Avia and Ryka. GLA helped one of the largest children’s footwear companies in the U.S. to secure the children’s footwear license rights to two powerhouse women’s footwear brands – Jessica Simpson and Vince Camuto. Jessica Simpson was a $1 billion + lifestyle brand by that time, and Vince Camuto was also close to, if not over, a billion dollars as well. With GLA’s help, this client was able to beat out some of the top children’s footwear companies in the country for these two licenses. GLA also helped this client to secure the children’s footwear distribution rights to the multi-billion dollar DKNY brand. GLA helped a top footwear company to secure the Jockey license for men’s and women’s casual footwear, slippers, and sandals. 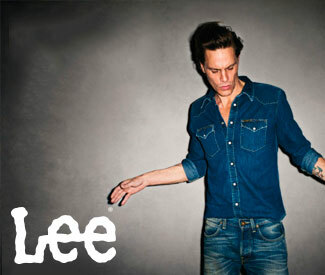 This company was looking for a casual brand to: 1) address the canvas looks that were so popular at the time and 2) complement its existing roster of brands, and Jockey proved to be the perfect fit. 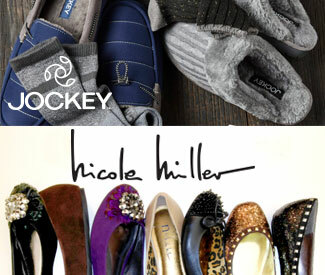 Also, in a hybrid license/acquisition deal, GLA helped to transfer the Nicole Miller shoe license to this client when the existing licensee was struggling. This transaction not only resulted in an additional licensed business for GLA’s client (without any upfront fees), but it also satisfied both the licensor (who now had a more capable licensee running the show) and the existing licensee (who was able to avoid termination fees). 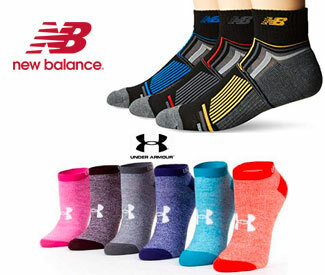 GLA helped the largest accessories company in Canada to secure the distribution rights for both the multi-billion dollar Under Armour brand and the $1 billion + New Balance brand for hosiery in Canada. Already the Canadian distributor for Bally Total Fitness and Everlast handheld exercise equipment (the same deal GLA put together in the US), the powerful Under Armour and New Balance brands allowed this client to expand into a new product category within existing channels. 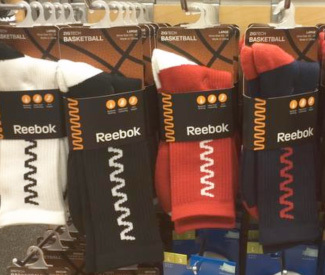 GLA helped a world-class legwear company to secure the license rights to the multi-billion dollar Reebok brand for all categories of hosiery for men, women, and children. This was a low 8-figure business in the hands of another licensee at the time. GLA has helped a major hosiery company to grow exponentially through the licensing in of several brands: Steve Madden, Betsey Johnson, Avia, and Nicole Miller, among others. While Steve Madden has been the shining star – with steadily increasing sales over a 10-year period – these other licenses combined have not only generated long-term, profitable revenue streams, but they’ve also raised the client’s profile within its industry and helped the client to: gain additional market share, expand into new channels of distribution, strengthen their relationships with existing retail customers, expand into new product categories, and attract additional licenses. 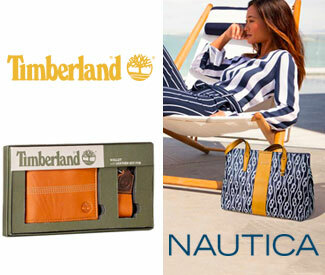 GLA helped one of the top department store accessory companies to secure the license rights to two $1 billion + brands that are among the strongest brands in their genres – Timberland (for belts, bags, and small leather goods) and Nautica (for bags). The Timberland deal took two years to complete and necessitated that both GLA and its client jump through many hoops, but the result was a steadily growing business that is still going strong many years later. Nautica too has had a fast start. Both licenses have helped raise the profile of this leading accessories company even further and helped it to maintain precious shelf space at retail. If ever there was evidence as to why timing is so important in the field of licensing, this deal is it. GLA helped a leading legwear company, who had only recently acquired a leading accessories company, to acquire the rights to the super-hot, $1 billion + Champion brand for backpacks and related bags, performance headwear, cold weather accessories, and others. This deal just so happened to coincide with a strong renewed demand for all things Champion, which is further reinforced by the 90’s nostalgia craze going on right now. This client has been able to exploit this demand right out of the gate by delivering exceptional product and positioning Champion as an authentic sports brand with a strong heritage, resulting in a strong 8-figure first year. 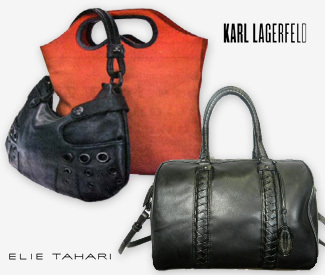 When a leading fashion accessories company asked GLA for help in its quest to build on its high-end portfolio of brands, GLA was able to promptly secure the license rights to the world-renowned Karl Lagerfeld brand for handbags and luggage and the powerful Elie Tahari brand for handbags. 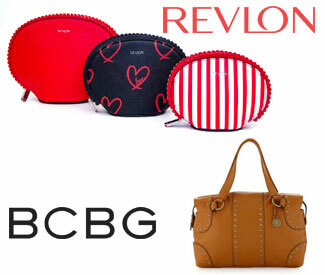 GLA helped a long-time client, who was once a dominant leader in the accessories space, to re-establish its leadership position once again by securing the rights to: 1) the venerable, multi-billion dollar Revlon brand for cosmetic bags and 2) leading contemporary brand BCBG for handbags, small leather goods, and cosmetic bags. The Revlon deal helped this client expand sales into the drugstore and mass markets. The BCBG accessories license was about to be granted to another company when GLA was able to persuade the licensor at the 11th hour to give GLA’s client a chance. This deal has gotten off to a flying start. 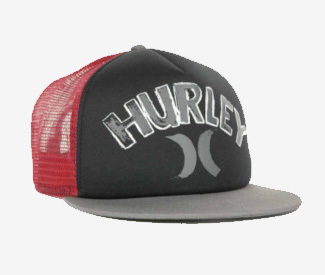 GLA helped a top accessories company in the sports market to secure headwear production rights from Hurley, a Nike-owned brand. GLA helped a Top 3 basic bedding manufacturer to secure the license rights to the multi-billion dollar Kathy Ireland brand for a variety of home textiles, including down and down-alternative comforters and pillows, duvets, quilts, coverlets, mattress pads, and feather beds. Kathy’s power in the home furnishings industry and her willingness to promote her licensed products have helped GLA’s client to build a steady business that has garnered much attention among its peers. 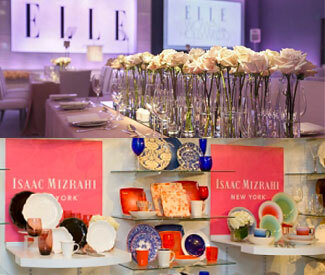 GLA helped a leading manufacturer of tabletop and related home accessories to secure the license rights to the Isaac Mizrahi and Elle brands, among other brands. These are lifestyle brands that have made a strong imprint in the home furnishings market, and GLA’s client has been able to capitalize on the cachet associated with these brands to build successful licensed businesses in the categories of dinnerware, drinkware, serve-ware, crystal, candles, home décor, outdoor furniture, jewelry boxes, giftware, etc. GLA helped one of the largest fitness accessory companies in the world to secure the license rights to two well-known brands for its lines of handheld exercise equipment: 1) the Bally Total Fitness brand for female consumers and 2) the Everlast brand for male consumers. These two businesses grew steadily from the very early 2000’s to the middle 2010’s and helped GLA’s client to maintain its leading status in the industry during that decade and a half run. GLA also helped this same client to acquire the license rights to both the multi-billion dollar Reebok brand and the leading mixed martial arts brand, UFC, for fitness monitors and other fitness accessories. 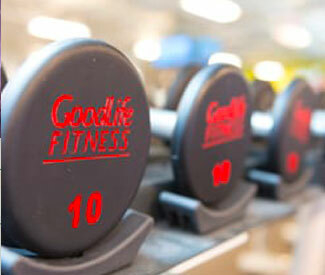 GLA helped one of the top accessories companies in Canada to secure the license rights to the Goodlife brand (the #1 fitness gym chain in Canada) for a line of fitness accessories to be sold exclusively through Canadian Tire, one of the largest retailers in Canada. This deal has cemented GLA’s client as a top vendor at Canadian Tire and has elevated their presence in the fitness accessories market. Many years ago, GLA met with an appliance and consumer electronics company who was primarily trading under a little known house brand. Fast forward to more than a decade later, and the five licenses that GLA helped this company to secure have enabled this company to: penetrate many major retailers, maintain shelf space at existing major accounts, grow at least 4 times its size, and achieve a whole new level of prominence in their industry. 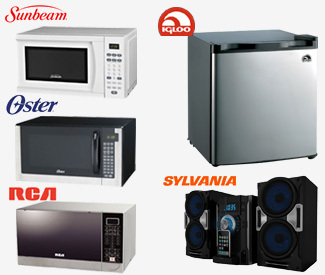 The first licenses GLA helped this company to secure on the small appliance side were the Sunbeam and Oster brands for microwave ovens. Then came the Igloo license for water coolers, wine coolers, compact refrigerators and freezer chests. Finally, the RCA brand, also for microwave ovens. On the consumer electronics side, GLA helped this company to secure the Sylvania brand for audio, video, television, and telecommunications products. 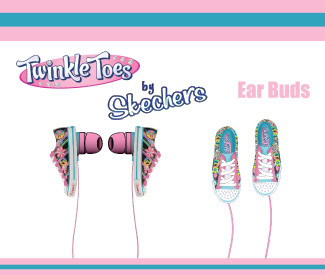 GLA helped one of the top licensed consumer electronics companies to acquire the license rights throughout several global territories to the multi-billion dollar Skechers brand (and its children’s sub-brands, including Twinkle Toes) for a wide range of sport-oriented consumer electronics accessories, computer accessories, and fitness accessories. GLA helped a top global eyewear company (and also one of the top sunglass suppliers to the mid-tier and mass market) to secure the sunglass license rights for three separate celebrity retail exclusive deals: Sofia Vergara at Kmart, Dream Out Loud by Selena Gomez at Kmart, and Hilary Duff at Wal-mart. In each case, GLA’s client was able to benefit from the low minimums negotiated by GLA and a built-in, predisposed customer base. 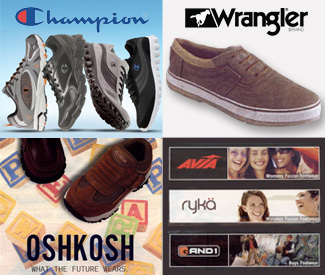 GLA helped one of the largest privately-held footwear importers in North America to secure the rights to supply footwear under the $1 billion + Champion brand to Payless ShoeSource, while at the same time helping to facilitate a direct retail license between Champion and Payless ShoeSource. This deal required the insight to know that Champion was the best choice for Payless and the deftness to help effectuate a difficult 3-party deal involving a licensee, a licensor and a retailer. 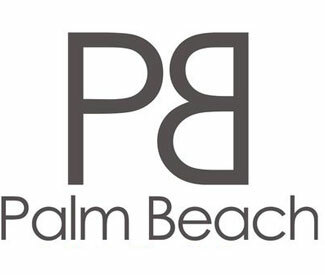 GLA helped one of the largest mass market apparel manufacturers to secure the license rights to the Palm Beach brand for an exclusive deal at Wal-mart for the categories of men’s sportswear, activewear, hosiery, and underwear. This deal enabled GLA’s client to maintain, and add, precious shelf space at the largest retailer in the world. GLA helped a leading active apparel company to secure the license rights to fitness celebrity Denise Austin for a retail exclusive deal for fitness apparel at Sears. GLA helped a leading manufacturer of legwear and other accessories to secure the license rights to the Betseyville brand for a retail exclusive deal for hosiery at J.C. Penney.